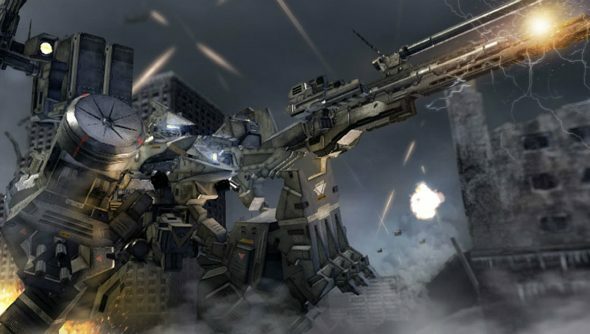 In an interview with Japanese site 4gamers, Hidetaka Miyazaki hinted that From Software was hard at work on three projects, one of which could be Armored Core. If mech-fighting is your thing, there may be something to interest you in the best space games on PC. The interview, entirely in Japanese, explores how the From Software director would like to revisit some of the company’s most beloved titles. Earlier in the same interview, when asked what projects the team were working on, he replied: “Our future direction is, I will do three big projects. One anaction RPG with dark fantasy, intended to be represented by a different approach to Dark Souls. It’s possible Miyazaki in his infinite cheekiness was dropping hints throughout the interview for Armored Core and a knowing wink in that answer might have some already confirming the news. What we do know already is that Dark Souls, Demon Souls and Bloodborne are not being revisited so soon, so AC seems like an appropriately long ago series for From to dig up. If you can read Japanese have a look for yourself. As it is, our deepest thanks to Twitter users BlackKite and Xenosaga for guiding us through.